E N G I N E E R E D F O R R A C I N G – That’s the mantra that sits at the forefront of everything we do at Worx bikes. Each one of our frames is specifically designed with the rider in mind, be that an eleven year old youth racer or a seasoned pro, unlike anyone else on the market, we don’t make sacrifices. Resulting in fast bikes, to win races, whatever your age or discipline. Our groupsets are specifically picked to provide unparalleled performance and speed. Our bikes aren’t spec’d to maintain a margin, but to provide the rider with the right tools to get the job done. We started this obsession, to build bikes to win races, and we’re confident we’ve done that. Our Cross Worx 2018 CDA1.0 centres around our super light MU9, Vanadium Enhanced Aluminium frame and full carbon monocoque fork with improved geometry, centre of gravity, stiffness and mud clearance and is available in frame sizes from 46 to 58. 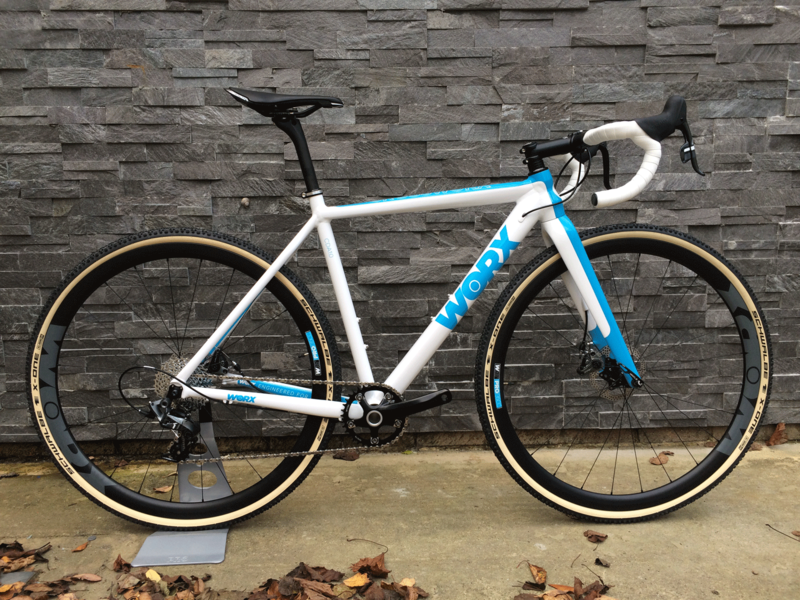 The Cross Worx CDA1.0 excels between the course tape in the 60 minute suffer-fest that is race day. The geometry is specifically designed to ensure the best possible handling on the toughest of terrain, as well as putting the rider in the position to get the power down to pull away from the bunch. Customisations and special builds are of course available, please get in contact to discuss options. 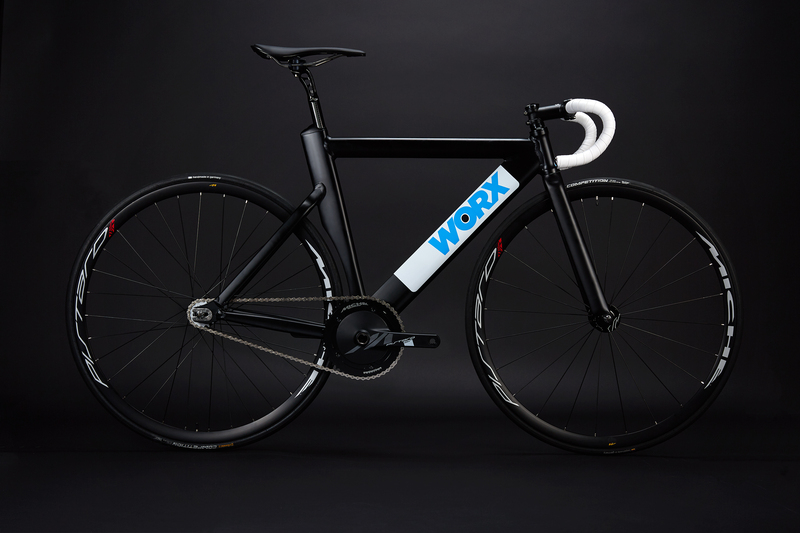 The Road Worx range consists of the RC 1.0 the product of 3 years of rigorous development and testing, to create what we believe is the road racing carbon machine for any serious racer. The RA.SL centres around our super light MU9, Vanadium Enhanced Aluminium frame and full carbon monocoque fork. The frame and fork geometry has been specifically developed to put the rider into the optimum position for tarmac road racing, balancing the need for an aerodynamic position, whilst still being able to have full control over the bike through braking, cornering and acceleration zones of a hard fought race. Our aluminium track frameset was designed with one goal in mind. To get our youth racers in the best possible position to get the power down as effectively and efficiently as possible whilst not compromising on the aerodynamics of the rider and machine working in unison together. We’ve paired our track specific geometry with aerodynamically profiled tubing to create a bike that not only handles great, but provides a rigidity that will get you out of the corners when the hammer goes down in those competitive situations. Our geometry puts the rider into a forward biased, low riding position, to get that power down, whilst minimising the drag with a smaller frontal area. 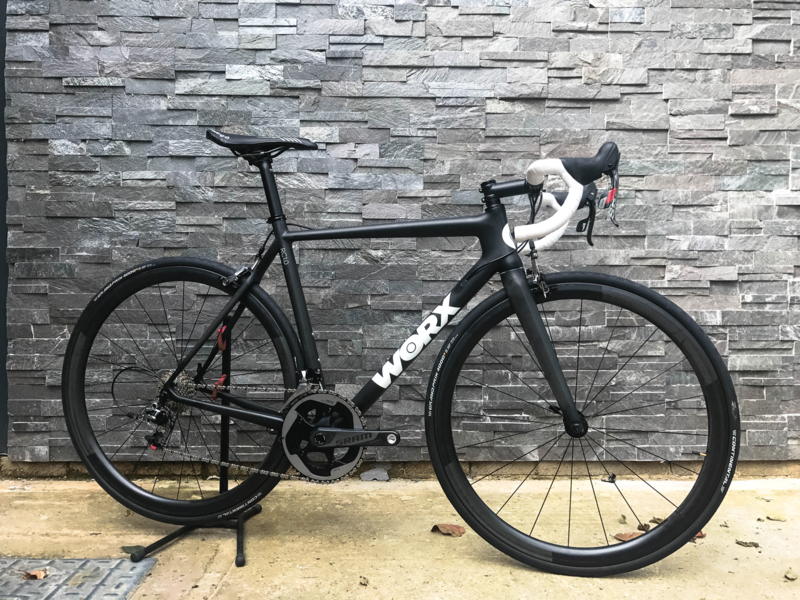 Our rear triangle has been specifically developed to aid air flow around the seat tube and over the rear wheel, as well as helping to increase stiffness between the bottom bracket and the rear axle. All of this results in track bike that is light, stiff and responsive. We don’t believe anything comes close to the performance and value combination this track ready machine offers. The highest quality junior bikes on the market have been improved for 2018. The Junior Worx range for 2018 has a host of enhancements. The highlights being updated geometry ,reduced weight and an aero profile fork. Designed for the cut and thrust of the youth cycling race circuit – be it cross or road – the JA range puts performance at the fore. Ridden hard and fast from the get go, the detail and components mean this is a bike the young racer will never be slow on the JA24, JA26 and JA700. They’ve won European championships as well as multiple British national titles, our own kids race on them, and we wouldn’t have them on anything else. 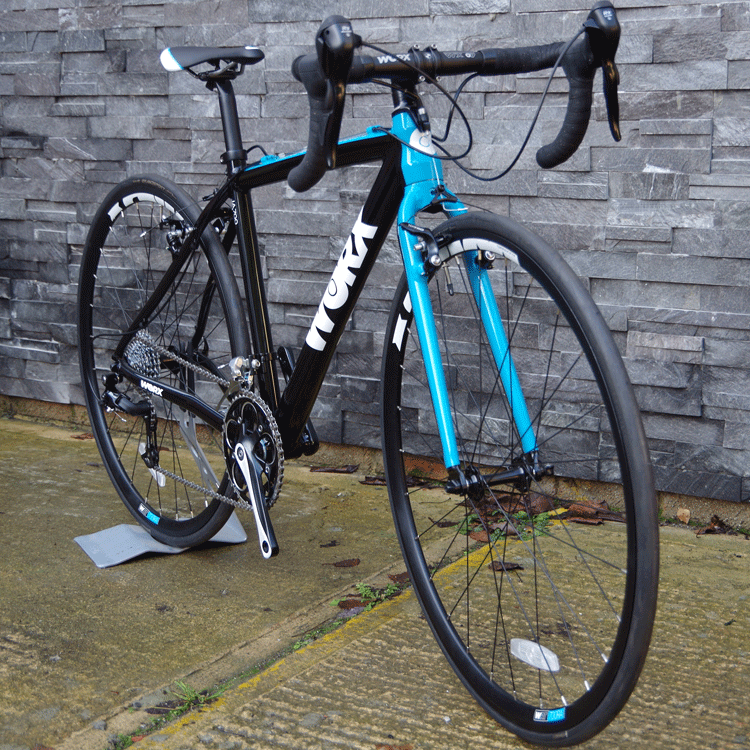 Our Youth Road Worx bikes are built for young competitive road racers, who are looking for an all out racing machine. We have a full range of sizes going down to as small as 46 to cater for youth riders starting as young as 10 through to 18 and over. 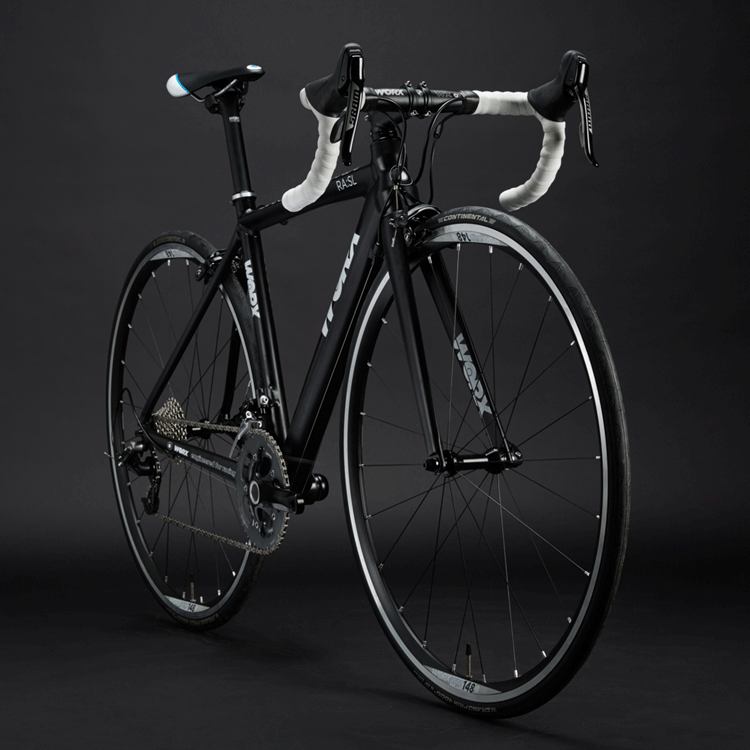 They come with Sram Apex 10 speed groupset, and handlebars and cranks designed specifically for the smaller racer. Like our Road Worx range these bikes are centred around our super light MU9, Vanadium enhanced Aluminium frame and full carbon monocoque fork. Whilst the geometry has been developed specifically for youth riders, experience has proved that the youth bike range is perfect for many women riders.